With the recent announcement of a long-term program to develop a hybrid spaceplane, China appears to be aiming to enter the space travel market, offering trips into orbit at low prices. According to various reports in Chinese media outlets, the country hopes to send “common” people to space by 2030 at a much lower cost compared to current rates. “We have made a long-term plan of taking about three to five years to master the key technologies, and significantly improve the capability of the spacecraft during the application. We aim to implement the technology in suborbital flight and orbital insertion by 2030,” said Zhang Yong of the China Aerospace Science and Technology Corporation (CASC). The state-run China Central Television (CCTV) revealed last week that the new spacecraft will incorporate different kinds of engine technologies. It will rely on an indigenous turbine, ramjet, and rocket engines to power the spaceplane in various phases of flight. China hopes that it will allow the spaceship to operate as an ordinary plane in the atmosphere and as a rocket during its flight in space. The spacecraft is planned to be reusable and it is planned to be able to take off and land like an airplane at normal operational airports. These attributes are expected to substantially reduce the cost of space travel. 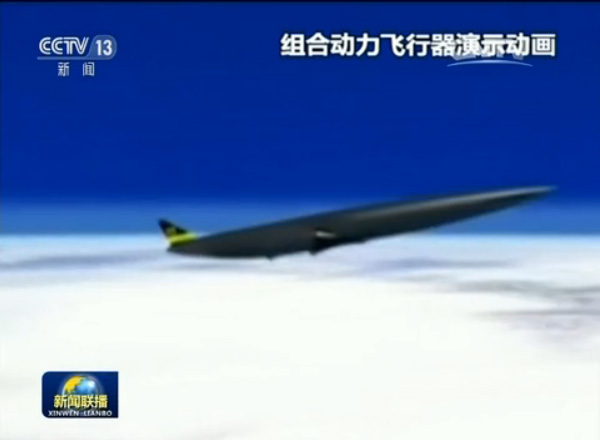 China appears to be planning to send this vehicle to up to hundreds of miles above the Earth’s surface. According to Yang Yang, an engineer at the China Academy of Launch Vehicle Technology (CALT), future space travelers should not need any special training to board the new spacecraft. This is due to the fact that the slow acceleration while taking off, should not cause overloads occurring during rocket launches, thus the initial phase of the flight will be bearable for most people. China has not yet specified how much its new spaceship will reduce the cost of a space flight. Currently, commercial companies like Virgin Galactic, XCOR, and Blue Origin are offering tickets for suborbital flights at around $100,000 (although none of these companies has launched a private, paying customer to date). Orbital journeys to the International Space Station on board a Russian Soyuz spacecraft, provided by Space Adventures, are available for about $50 million. How much China will charge to send future space tourists on orbital flights, remains to be seen. Meanwhile, China is working to return to conducting crewed flights this year with the launch of Shenzhou-11 planned for late 2016. That mission is slated to lift off from Jiuquan and dock with China’s upcoming second space lab, Tiangong-2, which should be in orbit by the time the crew’s Shenzhou spacecraft is sent aloft. However, the exact launch dates for these missions have yet to be released. That’s a Skylon, a concept by the British company Reaction Engines Ltd.
It’s very good to see that there is an alternative for the Skylon project. Lol one the Chinese have ripped-off, you mean, I guess they hacked into the servers, just like they hacked the designs for F35. I’m betting the Chinese have a complete data copy of the engineering from Reaction Engines — it’s safely preserved right next to a copy of Clintons server…. Why? Technically the skylon is more than a project, and it could work. If you say that it won’t work, explain why. Moreover, having a working skylon won’t be bad for Space X and co. There’s a already a lot of competitivity, I doubt that REL will take instantly all the launch market. It will bring innovation to the space industry, and that’s good. Rockets are boring, we want SSTOs! So, at last, the common man will be able to see for himself if there is actually a curve to the earth.